More stories by Lesley Hayes. Infidelity, insecurity, betrayal, false promises, misplaced hope… there are so many things that can turn ‘Happy Ever After’ into a grim tale of disenchantment. The Other Woman shows up in many different guises. She could be you, or someone who has spun your life around, one way or another. Is it any wonder people grow disillusioned? And yet still we do it… we tell ourselves it will be different this time, that we’re older and wiser, or maybe just desperate for connection. But it’s not all doom and gloom. There is humour, too, and sometimes even an unexpected better ending – or at the very least a hopeful start of something new. Once again Lesley Hayes takes the lid off romantic relationships and peers deep inside to examine the hidden truths. 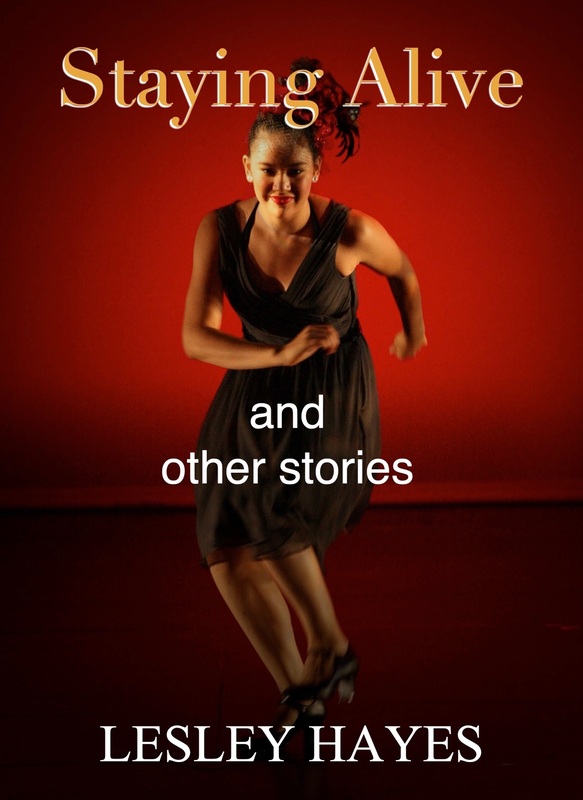 Twelve stories to make you smile, make you sad, and maybe make you ponder on the absurdities and tragedies in our quest for love. "I have yet to read a tale by this author which doesn’t leave me soul-searching." “The stories are at times tender, and occasionally heartbreaking, but as ever, at all times—entertaining to the highest order." The things we find ourselves doing in relationships just to keep our heads above water. Our many failures at communication, wrong turns and convoluted pathways to sidestep the choices we know we ought to make, or to backtrack on the choices we made and now regret. Quirky, sad, ironic, comical, tragic and triumphant – the human psyche laid bare, with no apologies. Once again, Lesley Hayes puts her finger on the pulse of what makes us tick, even if we cringe to recognise our romantic blunders. This new collection of twelve captivating short stories has echoes of previous anthologies, and reveals the lengths we will go to in simply trying our best to stay alive. Someone suggested that reading a short story was the perfect way to while away a fifteen minute window in a busy life, an opportunity to gaze out of said window into a blue sky of alternative experience, a daydream where someone else had created the scenario and the actors to strut across the stage of the dreamer’s imagination. As the writer of short fiction from a very early age, I believe it’s also more than that. Short stories seem to me rather like poems – they are snapshots of an event, a personality, an individual emotional landscape laid momentarily bare. The best stories waft into the reader’s imagination somewhat like a dream, and depart the same way, leaving an imprint in their wake, a lingering aftertaste, a recollection that sometimes returns with a remembered phrase or a visual impression the words have evoked. They have a rhythm, a shape, a satisfying resolution, sometimes a sudden ‘aha’ moment, when the plot does a final arabesque-like twist that you realise you always knew was coming, even though it still surprises you. As a writer I have always been deeply fascinated by the stories we tell one another, the vagaries of life and how we choose to define ourselves by our engagement with them. Long before I studied philosophy and psychology I was a natural philosopher and psychologist. I grew up in a family where mere gossip was underpinned by a desire to understand, to analyse, to make sense of the behaviours and motivations of others. Life itself was a mystery, and I was always seeking to peep behind the curtain and discover what was hidden there. “Anyone who likes their reading to challenge their perceptions as well as entertaining them will not be disappointed: Intelligent and well written, highly entertaining and thought provoking, I cannot recommend this anthology more highly!" 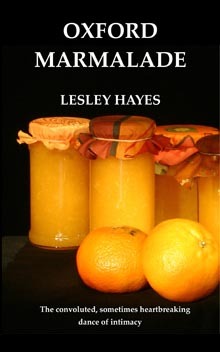 “Lesley Hayes clearly writes from the heart and the deep well of experience. Throughout each tale there is the meandering thread of humanity, a tolerant acceptance that all of us are imperfect, and yet continue to strive, often forlornly, for love and understanding." “This collection of page-turning stories creates a kaleidoscope of human desires and motivations. 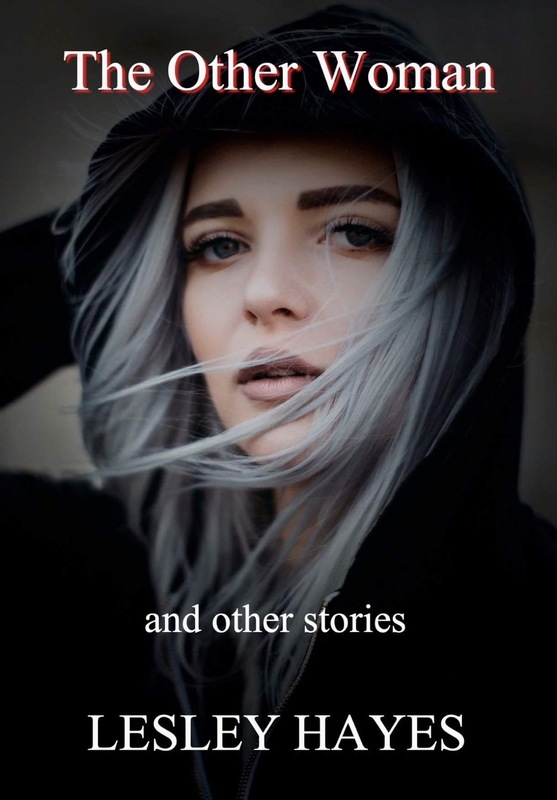 Hayes creates different narrator voices, different settings, different resolutions, so there is enough variety within the short story format to bring pleasure to many readers." “Each character possesses their own unique voice, personality and attributes, and the imagery and descriptive prose of each never falls into any sort of predictable pattern." This second compilation of short stories is edgier than the last. For those of you who enjoyed the dark humour in ‘Not Like Other People’ there is definitely an element of that, but there is also often a narrative arrow pointing you towards a truth about our human nature. Not all truths are comfortable, and some are decidedly not. I have used the overall title ‘Without a Safety Net’ with good reason. The people in these tales range widely in age and experience. What they have in common is standing at a turning point – one that may lead them into a new awareness, or plunge them into dangerous uncharted waters. Some take the reader on a journey into the remembered past, to a time that has resonance for the central character, while others demonstrate the complicated lives and relationships we weave in the here and now. These are stories of dashed expectations, unexpected horizons, and sometimes doors closing without the comfort of knowing when or if another one will open. Not all outlooks are quite so bleak. The human spirit is indomitable, even in desperate situations. Our capacity for investing hope in the face of the impossible does us credit. I know how important stories are. They help us make sense of what we feel and think. They remind us that our ambivalence and complexity of emotions are familiar to everyone. They reassure us that however lonely we may feel, we are not alone. “Without A Safety Net is stuffed to overflowing with every range of human emotion, loneliness, despair, sadness, loss but also hope and triumph. Each and every story will resonate with you on some level and you will find yourself saying 'yep, been there, done that'." "While some writers focus on action and others on descriptions of settings or people’s physical appearance, Lesley Hayes’ emphasis seems to rest on the brilliant psychology of her characters, and her ability to condense whole people, or even whole types of people, into a few pages." "This is an outstanding collection of short stories reflecting the author’s deep knowledge of human nature. After reading just a few pages, I often feel as if I knew the characters very well. I have developed a very intimate bond with some of them and I keep wondering how this is possible. Although it contains a lot of wisdom, it is also very entertaining, sometimes even funny. It’s a real treasure." Here are ‘Not Like Other People’ and ‘Without a Safety Net’, published together in paperback for those readers who like their anthologies in traditional book form. You will find dark humour within these pages, but also a narrative arrow pointing towards truths about human nature. Some characters stand at a turning point leading to new awareness, or dangerous uncharted waters. Some demonstrate the intricacy of intimate relationships, revealing dashed expectations and surprising new horizons. The human spirit is indomitable, as is our capacity for investing hope. Stories help us make sense of what we feel and think, reminding us that our ambivalence and complexity of emotions are familiar to all. They reassure us that however lonely we may feel, we are not alone. In the byzantine twists and turns of their fortunes, the people you meet here will be poignantly recognisable – not angels or monsters, but just like you. “An intriguing and enjoyable collection of stories, in which the reader is shown widely differing characters, who are complex, imperfect but always believable. A range of characters, setting, narrative styles are employed to show the multi-facetted nature of what it means to be human or, in the words of the News of the World, “All human life is there”….. by the way, did I say it was a good read?." “This book was a truly pleasurable experience. Lesley Hayes writes Literary fiction in a class of her own, she is a clever writer, balancing stories of normality with profundity and a deep understanding of the human condition. I loved this book." Who exactly is Oscar? He seems to be one thing for one person and something quite different for another. Is he a brilliant artistic genius or a mad, lovesick fool? And the women into whose lives he sweeps with his wild Genghis Khan looks and his courtly passion each have their own tales to tell. Be beguiled along with them as you enter the slightly surreal world they inhabit. And watch out for the Polish ranting parrot – he spits. This delightful collection of four interlinked stories will amuse and intrigue you, and leave you wanting more. Luckily, Lesley Hayes has provided them. Two other collections are here on kindle, and more are yet to come. “Within the first few sentences Oscar felt like an old friend. 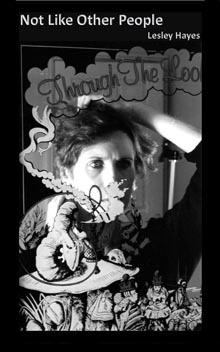 I was immediately immersed in Oscar’s wild and wacky world and intrigued to find out who this fabulously eccentric character was." “I fell in love with Oscar throughout these stories and yet he amused, delighted and frustrated me in equal measures." “Lesley Hayes effortlessly paints a colourful picture with just enough detail to satisfy your curiosity while leaving you craving more." “This is a fun, bubbly read full of energy and quirky characters. Set aside some uninterrupted reading time and read it all in one go; you won’t want to put it down." There is Dinah and her second husband Piers, facing the hidden truths of their marriage after 15 years. Then there is Dinah’s wayward son Kit, passionately involved with Poppy, whose husband Titus falls in love with her rather late in the day. And finally there is Lucy, who has given up on romantic love until Ben comes back into her life unexpectedly, determined to remind her. Their lives, and the lives of those they meet, interweave and overlap as intricately as ribbons in a traditional Oxfordshire Maypole dance. As you might expect, if you have read my fiction previously, these stories don’t hold back from portraying honestly the subtleties and depth of human emotion and behaviour, seasoned lightly throughout with insight, empathy and humour. 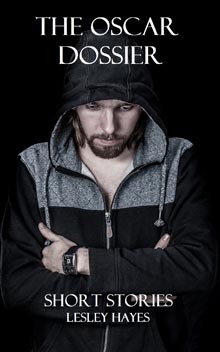 “The often unintended consequences of people’s life choices and the misunderstandings that exist between the key characters are used to brilliantly show us the effect of how the behaviour of one, can often have harsh consequences for another." 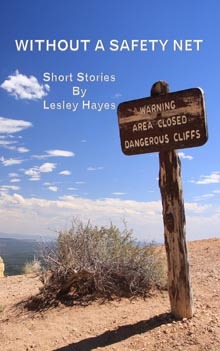 “With a true gift for intelligent narrative, Lesley Hayes has created a lovely collection of short stories that you will enjoy and no doubt send you looking for her next title." “This is a delightful collection of intricately connected tales. It flows from one to the next with the seamless ease of a novel and yet each story can be read separately." “Lesley Hayes excels in bringing this complex set of characters to life, as the supporting cast from one story become the stars of the next. Another masterpiece from the magical weaver of stories."